Shane Claiborne is founder of The Simple Way, a New Monastic community in Philadelphia, and author of The Irresistible Revolution, Red Letter Revolution, and, more recently, Executing Grace: How the Death Penalty Killed Jesus and Why It's Killing Us. KRISTA TIPPETT, HOST: The connection points I hear to monasticism, nearly everywhere in the emerging spiritual landscape, are beyond intriguing. The wandering ascetic, eccentric sages known as the Desert Fathers and Mothers, the visionaries like Benedict or Francis or Ignatius of Loyola across the many centuries in which Catholicism was the only way to be Christian — they all emerged at a distance from a Church they experienced to have grown imperial, externally domesticated, and inwardly cold — out of touch with its own spiritual core. And there is a kindred shift in the Nones’ generation of young Christians, including Evangelicals and others — people who have not rejected the faith of their childhood, but grew up allergic to stridency and determined to reform it. One pivotal, loosely federated movement is called the New Monasticism. 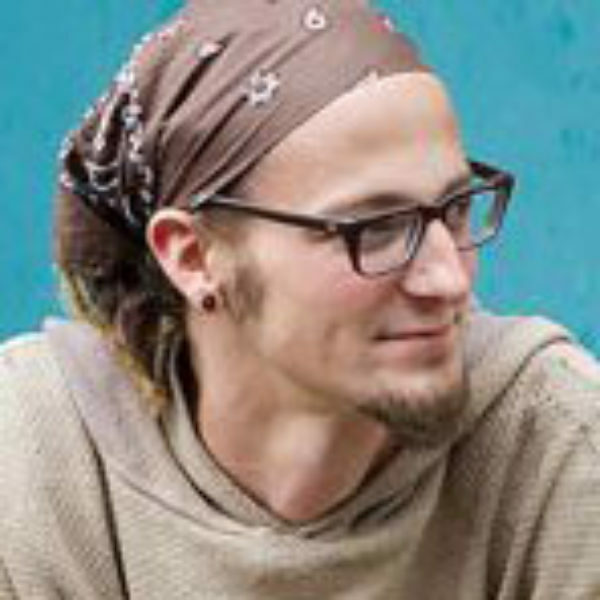 Shane Claiborne is now one of its guiding lights and, at forty, one of its elders. He was born in Tennessee in 1973, in the heyday of the Moral Majority, and spent part of his teenage years canvasing for a Republican vice-presidential candidate, Dan Quayle. He is a lanky, charismatic, dreadlocked figure, who looks like he might have been at home with the Desert Fathers and Mothers. Mr. Shane Claiborne : You know, I start reading this stuff that Jesus said. And I’m just, like, “Man, does anyone really believe this anymore?” Mother Teresa was one of those people that I felt just lived so magnetically and authentically the simple words and teaching of Jesus. So we wrote her a letter, you know? We said, “Hey, we don’t know if you give internships out there in Calcutta, but we’d love to come work.” And we didn’t hear back. I guess she got a lot of mail. So we called Calcutta. I’m expecting a polite, “Missionaries of Charity, how can we help you?” And I hear this raspy, old voice go, “Hello?” And I’m thinking I’ve got the wrong number and it’s a minute. I learned so much. We had been sucked up into this real movement of social justice, going out and getting arrested and protesting everything that was wrong. We knew what we were against. We just didn’t know what we were for. And in a leper colony in Calcutta, I learned from a group of people who had been, basically, forced by their society to create a new society in the shell of the old one. It’s really there that I kind of caught that vision of, let’s build something new together. As one of my heroes, Dorothy Day, said, “Let’s build a society where it’s easier for people to be good to each other. Ms. Tippett : When Shane and his friends came back from Calcutta, they founded a community called The Simple Way. This is not a monastic order in the traditional sense, but an “intentional community” that does draw on some monastic wisdom about structuring a rhythm of life together. Single people and couples and families share life with each other and the city around them. Over time it’s grown from one house to six and a multitude of projects and ministries. It’s a place of pilgrimage for young people, from many backgrounds. It’s a beacon for a larger web of community, a constellation of other groups in other places, and for church and spiritual life reimagined. Mr. Claiborne : There was a group of us that ended up going, “Let’s try to do church like the old days.” We would read in the Book of Acts that all of the believers were together and shared everything in common. No one claimed any of their possessions were their own, but they shared everything. And there were no needy persons among them. We had all kinds of baggage from the church, you know, recovering Evangelicals and disenchanted Catholics. But we decided that we were going to stop complaining about the church that we’d experienced and try to become the church that we dreamed of. We had no huge visions for transforming our neighborhood or something. We were coming very much as learners. We opened our door up to people. Our mission was just to love God, love people, and follow Jesus. And we said, “If we can figure that out, then we’ll be doing well,” you know? And so we had a lot of homeless folks that came by the house; we had a lot of kids that needed help with homework. And everything that we do just sort of bubbled up out of that. In North Philly, there’s a lot of struggles, but there’s also a lot of hope. We tried to feed each other hope and to reclaim abandoned spaces. I’m missing out on all the gardening today. We’re reclaiming two lots on our block where they were formerly just filled with trash and needles. We’re reclaiming that space and doing gardens with our neighborhood. We have a little thrift store. As soon as I leave here, we’ll be giving out about 50 bags of food to folks who need food. But initially, when we started the community, we were just responding to crisis, you know. And then there comes a point, as Dr. Martin Luther King said so well, where we’re called to be the Good Samaritan and lift our neighbor out of the ditch. But after you lift so many people out of the ditch, you start to say, “Maybe the whole road to Jericho needs to be transformed. Ms. Tippett : There’s something not just in the way you see your Christianity, but in the way you look at the world. It’s a very holistic vision. So, for example, you’ve taken the old adage that if you give someone a fish, they’ll eat for a day, but if you teach them how to fish, they can eat for a lifetime. But you say, “We also need to ask who owns the pond and who polluted it.” I’m not sure human beings have previously lived in a world where they could think that way, or see all the connections. Have you thought about this — about your generation and this time? Mr. Claiborne : Everywhere I go, I am so encouraged by the questions that people are asking, especially even within the Evangelical church that’s been so scared of a lot of those questions. Most people my age that I see, even within the Evangelical church, transcend categories of left and right, and really are wanting to know how to create a better world. And they know that the world that we’ve been handed is very fragile. They say, we need to figure out how to live differently ourselves and how to live with some imagination and some creativity, and give ourselves to something bigger than just our own little circle of friends. To me, that’s so encouraging. And I’m convinced that if the Christian church loses this generation, it will be not because we didn’t entertain them, but because we didn’t dare them with the truth of the world. It won’t be because we’d made the Gospel too hard, but because we made it too easy, and we just played games with kids and didn’t actually challenge them to think about how they live. And I think what I really love about much of what’s happening in the younger generation is that there’s a sense that, man, we all have a lot of contradictions and we don’t need to feel like we have it all figured out. There’s something just as magnetic as a church that seems to pretend that we’ve all got it together, which is definitely the church that I grew up in. There’s something magnetic about a group of people that say, “Hey, we don’t have it all figured out, and we need each other.” We’re broken people and in the middle of that brokenness I feel like the spirit is able to connect.